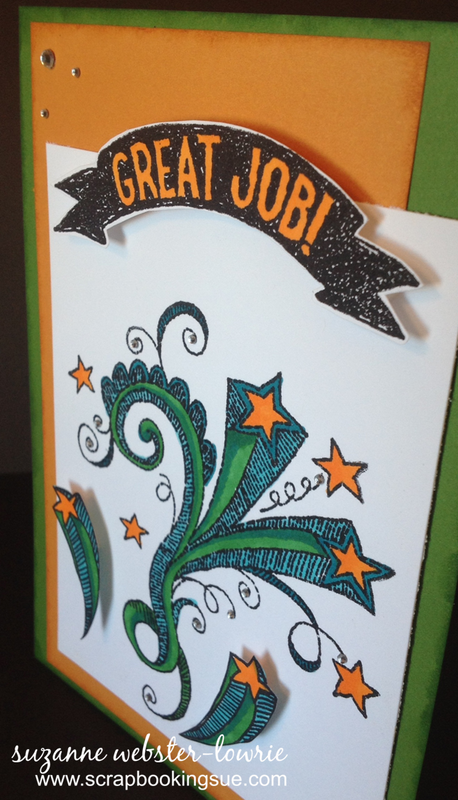 Welcome to the CTMH Independent Consultant’s ShinHan Marker Blog Hop! If you have just joined me from Priscilla Gotham’s blog, then you are on the right track! 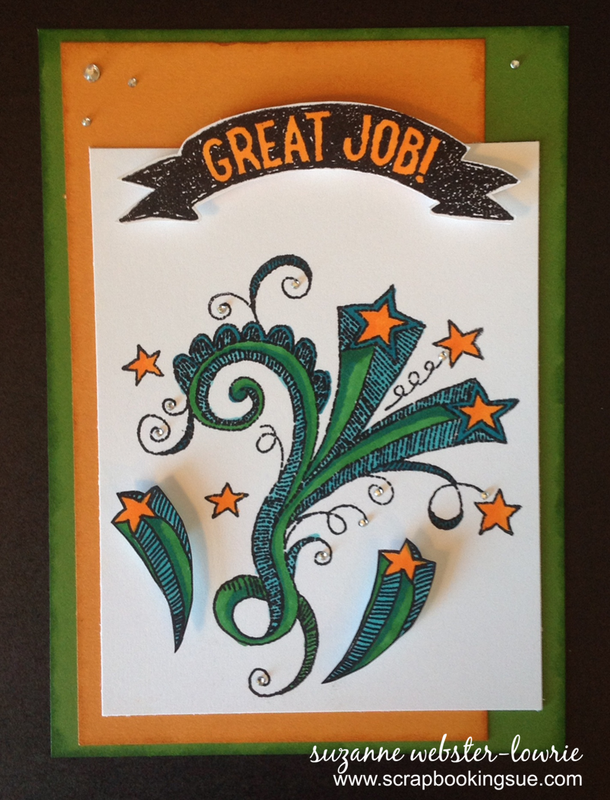 My card for this hop uses the “Great Job” stamp set, Topiary, Goldrush, and White Daisy cardstock, and of course, the ShinHan markers! ShinHan markers are alcohol-based markers that color and blend easily. Although they are new to Close To My Heart this year, they have been around for a long time and have a reputation as being right up there with Copic markers, in terms of quality. For this 7″ x 5″ card, I stamped the large shooting star image in the center of my White Daisy cardstock. 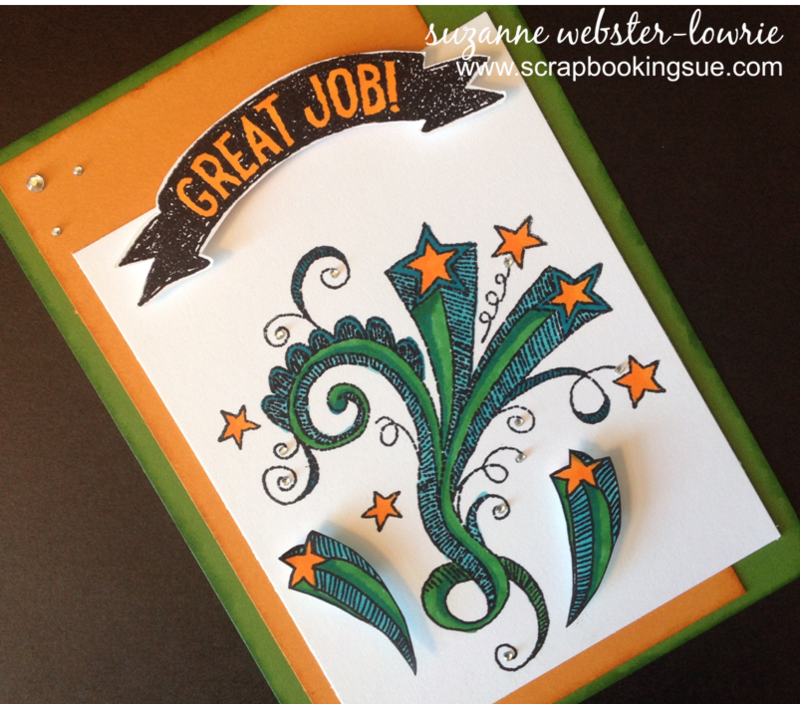 The 2 smaller sets of shooting stars and the “Great Job” banner were stamped on scrap paper, fussy cut, and then adhered to the card with foam tape for a bit of dimension. The ShinHan Markers used to color these images included: Turquoise Blue, Peacock Green, Vivid Green, and Marigold. To give the card some sparkle and shine, I finished it off with some Clear Sparkles in various sizes, and some tiny Bitty Sparkles in the shooting star curls. Make sure to keep the fun and inspiration going by hopping on over to Dana Kessler’s blog, to see what she has created for you! If you get lost along the way, or would like a list of all participating bloggers, you can find that here.